Welcome to the ALPINE COMMMUNITY NETWORK! 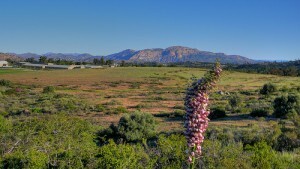 This website is designed to provide FREE, current information about everything that is happening in the community of Alpine, CA. It is an invaluable tool for ALL Alpine residents and local businesses. 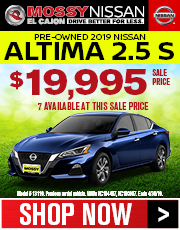 The Alpine Community Network is designed to keep the community of Alpine INFORMED and CONNECTED. It is “Your Community Connection” for EVERYTHING ALPINE. 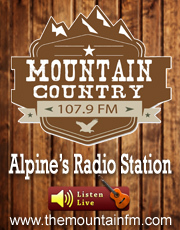 The Alpine Community Network is TOTALLY FREE and run by local residents of Alpine! Other important or critical Community Information you may need to know about. Weekly “What’s Happening in Alpine” email that includes local events happening in the Alpine area. You can make a post (Send us information to be posted) on any subject, simply by emailing us or clicking on the Big Green “POST TO THE NETWORK” Button. You can comment on any post or other comment. You can add events to the Community Calendar – just click on the “POST TO THE NETWORK BUTTON” and send us the information for your event along with any flyers you may have for the event. 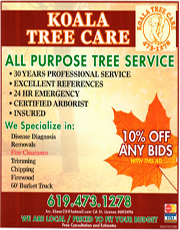 You can place a FREE Classified ad. 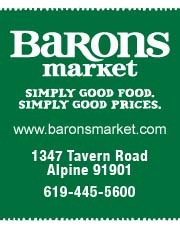 You will receive weekly deals, coupons and specials offered by our local businesses. 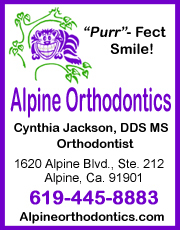 You can find ALL the products and services available in Alpine by using our HUGE Local Business Directory. **All posts and comments go through our moderator to make sure we maintain a healthy community atmosphere. When you are a member of the network, only important community information will be sent to you via email, your email will not be flooded with unnecessary content and you may unsubscribe to the network emails at any time. Your information will remain strictly confidential and will never be sold or used for any other purpose. WHY SHOULD I JOIN THE EMAIL NETWORK? Just imagine how quickly we will be able to get information out to the community to help with things such as finding a lost pet, or warning everyone to be aware due to a crime. If you have information on any upcoming events, fundraisers, local youth sports information, you can also post them on the network for everyone to see. As an Alpine resident, we are sure that you remember the horrible fires that devastated our town. The ability to send out fire alerts through the network will enable everyone to receive crucial information from the fire department, as well as first hand information from neighbors. Today, many people also have email on their cell phones, which would make these alerts even more helpful! As well as being emailed out to the members, all important information will also be permanently posted on the website for viewing. HOW DO I POST INFORMATION OR COMMENT ON THE NETWORK? POSTING TO THE NETWORK: If you have something that you think is important to add to the website or send to the network, you can click on one of the following pages Post to ACN, Report Lost & Found Pets, Report Crime Alerts, Report Fire Alerts, or Contact Us. These page links are all located in the left hand column. READING POSTS & COMMENTS: If you want to read posts or comments on any subject click on any of the links in the right hand column beneath these titles; Post Subjects, Recent Posts, or Recent Comments. Then to read the entire post or see all the comments click on the post title. COMMENTING ON POSTS: To comment on any post go to the bottom of the post page and click on “Leave a Comment”, remember only members can post or comment but it is absolutely FREE to become a member. All posts and comments are reviewed and may be edited by the moderator, if necessary, prior to appearing on the Network. This process is only designed to help maintain a healthy community atmosphere. We always welcome any information you may have that would be of interest to the Alpine Community. Please feel free to send us any content, articles, events or whatever information you feel is important to the community. We also value your input and suggestions for improving our Network. FREE Local Classified Ads – ALL members of the network can place FREE CLASSIFIED ADS and GARAGE SALE ADS. Isn’t it great to know that you will be able to reach other Alpine residents with whatever items you have for sale or trade? What a great way to help each other out! FREE Business Directory – As residents of Alpine, we all want to support our local businesses and the Network is a fantastic way to do it! You can learn every detail you want to know about a specific local business by going to our “Business Directory”. Weekly business events, specials and coupons are also posted on the website for residents to easily access! For business owners, the Network is the ULTIMATE local advertising resource. Basic Business listings in the “Business Directory” are TOTALLY FREE, but if you want more exposure you can advertise with us in MANY WAYS. 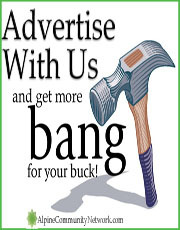 It is an AMAZING bargain to reach your target market; for more information click here, BUSINESS ADVERTISING. WHO STARTED THE ALPINE COMMUNITY NETWORK AND WHO RUNS IT? 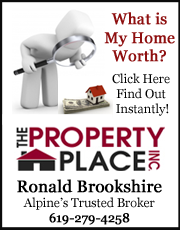 The Alpine Community Network (ACN) is owned and operated by Angela & Ronald Brookshire, long-time residents of Alpine.